I am so pleased with myself as I have finally added some items for sale on our website! I think it was the email from a lady wishing to buy online and alerting me to the fact that i had only 2 items in our shop, which prompted me to sort it out. So thank you Bevon! I hope to add further items when time allows. For those of you who maintain a website, Etsy or similar you will appreciate that it's not often the making of items to add to a shop but the photographing of them and putting them up there which often takes much of the time. I have a few items which alice and I made a while ago but due to poor photographs have never made it to the website. I am having to put aside my desire to rephotograph them and just use some of these photos as the lack of both light and time don't permit me to take more and as this is the time of year when we generate more sales i would be foolish not to . 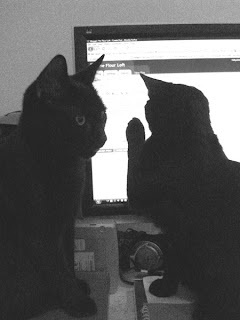 I am also pleased that i have gotten around to posting too despite the obvious difficulties of two cats sitting in front of the screen. When i sit at the computer it is like a magnet to them, as is the external sound box that sits on the table and gets very warm... they like to sit on it... and we have to keep checking the vents in case they overheat and we end up with two exploding cats. They are very sweet though and so affectionate to each other. They are now curled up on the computer desk just in front of me... and i can now just about see the screen. 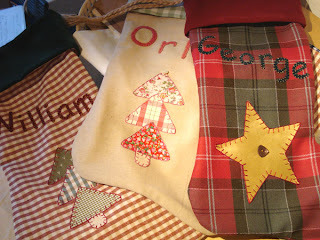 Orders are still occupying some of my work time and these are a few stockings which I have recently made. Christmas is not far away now... i can't quite believe how quickly it has come round again. It is Firework night here in the UK now and i expect fireworks and celebrations will be being enjoyed elsewhere in the world too. What an amazing and historic day it has been. it is always the photographs that delay things ~ it sounds like a good idea to just add the items with the photos you have in the hope of some sales for Christmas. Hi Ginny, Magic and Paws look so settled...and mesmerized by the computer! Looks like you're being quite productive to me. 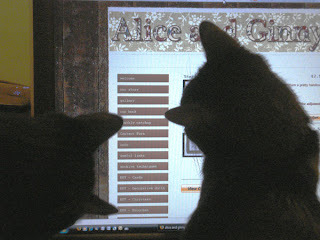 Maybe if you train them well, the kittens will be able to update your website while you do the sewing!! Yes, yes, yes to the issue of how much time is spent on computer work Ginny. I honestly had no idea and think it outweighs the making by miles. Dull days also means an endless array of unusable photos or accepting they are not quite qhat you wanted whihc is hard when you are a fussy pants like me and want it all perfect. Argh! I know what you mean about getting stuff actually onto the website. I now have three places where I'm selling, my site, etsy and folksy and I have spent more of the last few days uploading stock than making new stuff. As for the light at the moment, well there just isn't any really is there. Yesterdays historic events were amazing. We stayed up most of the night watching thre results come in and it was well worth it despite the exhaustion for the rest of yesterday! How handy to have so may extra hands/paws to help with the photos and website! The images of your kitties in front of the computer screen are great. I can really get a feel for what cheeky, inquisitive kittens they are. You make lovely things. I can't wait to get your book for Christmas but don't know if I can wait much longer! Yes cats love computers, we have to be very careful not to leave Jasper in the same room as an unattended laptop as sleeping on the keyboard is just about his favourite place for a catnap. We've suffered some rather odd results, like everything on the screen being upside down. These dark days are ghastly for taking pics indoors aren't they? I've been wondering about one of those light tent things. Hi Ginny, it's amazing to me that Christmas is just around the corner. I am babysitting a friends cat and Babe and I have renamed it - we call it 'demon cat'. Our household has been turned upside down. My cat is jealous, demon cat is sequestered in the basement because she wants to kill our cat and she hisses at us anytime we walk by the door. Sigh! two more weeks to go!! Saw your lovely book in a magazine today. Well done both of you! It looked very good. Love the cat pic!! I remember now what its like to have cats! I love the Alice and Ginny logo, it's so pretty. Thank you for leaving such a lovely comment on my blog, that was sweet of you to take the time to do so. Lovely cats you have, what great company you have whilst sat at the computer. 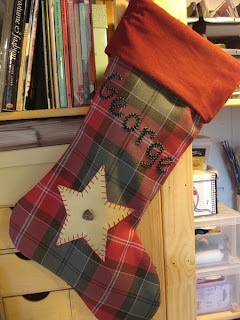 The xmas stockings are wonderful. There are going to be some very happy little people this christmas! 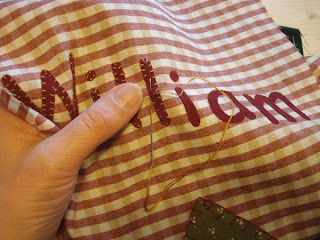 I just popped over to say that I posted a picture of a project I made from your book yesterday if you would like to pop over and take a look it's the second post down. you must be so proud of yourself, well done. I like it !!! Love the kitties playing with the mouse! I have 5 and occasionally my desk gets very crowded too! You asked how the treatment was going. I finished the 25 sessions of radiotherapy last Tuesday (Hurrah). I spent 10 days of that in hospital (Southampton General) with an infection, which has returned - seeing my own quack later as I have a nasty case of infected burns from the RT which needs looking at albeit it I am already taking antibiotics and have been for about 7 weeks! Apart from that I am good, have some anti cancer drugs to take for the next 5 years, but I can now look forward and start returning to some normality in my daily routine, which makes me very happy.